Now that school is back in session, we want to inform all of you about our upcoming Instructor Trainings and ECD cycles through the end of the year. All sessions are open for registration via MU. Please look out for Instructor Training and ECD Kick-off reminders on Matters for details on upcoming sessions and instructions on how to register. The Training Department is pleased to release an updated version of the 2018 Training Calendar! You can find the calendar in the “Mathnasium Calendar” widget on the right side of the Matters’ page. We have updated all training events until the end of the year. Tag UR It! has launched a brand new website (www.taguritnametags.com) that is going to make ordering name tags even easier for Mathnasium Centers. Franchise Owners will see that this new site has changed the process for placing orders for name tags. The first change is that Mathnasium customers will no longer need to email Tag UR It! in order to set up an account. Instead, Franchise Owners or Center Directors can visit the Tag UR It! website to set up their own account. To do this, each Owner or Center Director will click on “My Account” at the top of our website, and then click on “Create an Account”. When typing in your “Company Name” at checkout or in the address book, be sure to specify which Mathnasium you are with (i.e. Mathnasium of Westwood). Once a Franchise Owner or Center Director has created their account, they can log in anytime to place their order. They should visit the Mathnasium Exclusive page on the Tag UR It! website by hovering over “Products” and selecting “Mathnasium” under the Corporate Products title. Here, users will find the Mathnasium exclusive name tags at the same low exclusive Mathnasium pricing. Owners will no longer have to call in with their payment information, as all sales will go right through the new website. Therefore, there will no longer be any delays while waiting to process payments. Owners with multiple centers will be able to store multiple shipping addresses in the address book of their account, making ordering for multiple locations much easier than before! Tag UR It! is proud to be able to keep their exclusive and low Mathnasium pricing and will not be raising the price of Mathnasium name tags at this time. However, their handling charge will be increasing by $1.10 per order effective January 5, 2018. As an exciting “Welcome to the new site!”, Tag UR It! is providing a 20% off discount on the first order for all Mathnasium Centers. To receive this discount, please use the following code when placing your first order: MATH20. As announced in the November 2017 Operations Manual Release, and further reminded in December 2017, after re-evaluating our background screening requirements for safety, quality, and security, we have established strategic partnerships with four background screening vendors to provide Mathnasium franchises background screenings that meet the industry’s best practices with significant discounts in price. These vendors have been vetted and tested before being selected to ensure all proper databases are being searched for all new hires. See below for transition details. If you are not currently using one of these vendors for your background checks, you will need to register with an approved vendor by 01/31/2018 to stay in compliance. You will not be required to re-run background screenings on currently employed staff or newly hired staffed who have already been screened before 01/31/2018. If you are already registered with one of the approved vendors, no change will be needed, but you must use the new Mathnasium package at a minimum going forward. Please confirm that your account has been properly transitioned to the new Mathnasium package and price. If your account has not been transitioned to the new package and price, please reach out to your vendor’s Dedicated Customer Support Executive; you can find their contact information and more in the Background Screening Vendor Guide on Radius. Please refer to the initial announcements for more information. As the Mathnasium system continues to grow, it provides increased growth opportunities for our employees; and John Bianchette has been provided such an opportunity. For this reason, we are pleased to announce that we are hiring a new Education Systems Manager. Details of this position can be found on the Mathnasium Careers page here. If you have someone that would be interested in this position in Los Angeles, please have them submit a resume’ and cover letter to recruiting@mathnasium.com. Franchisees who have employees apply for this position will be notified by HQ before any in-person interviews are offered. Franchisees are typically compensated if their employee is hired. If you have any specific questions about this position please reach out to Education@mathnasium.com. The Training Department is excited to unveil a new format for Experienced Center Director Training in 2017! Trainees must attend all six sessions (23 hours total) in order to receive certification. Any missed session must be made up during the next cycle before becoming certified. Experienced Center Director Training is mandatory for any existing employee that has been promoted to a Center Director position. A promoted employee, regardless of the title held, who assumes the responsibility of any of the following items is considered a “Center Director” for training purposes and must follow the hiring and training guidelines required of a Center Director, including Center Director Training, along with its prerequisites, and complete the required Readiness Training. Prerequisites: All attendees are required to have worked at a Mathnasium Center for at least six months prior to attending Experienced Center Director Training. Additionally, attendees must complete Number Sense and Stage 1 and 3 Training prior to attending. Sign up your Center Director now! Please refer to the 2017 Center Director Training Calendar for scheduled Experienced Center Director Training dates and locations through July 2017. To sign up, head over to the Events calendar in the new Mathnasium University, Cornerstone On Demand. Once registration is confirmed, a Training Department team member will be in touch with further details. Please be aware that there is a limit of 40 online seats for the February 2017 session only. There is no attendance limit for all other Experienced Center Director Training Sessions thereafter. Tech Specs: Online instruction will be hosted via AdobeConnect. You’ll need a computer that runs Adobe Connect, monitor/microphone/speakers, as well as an internet connection. A wired DSL/Cable connection is recommended with a minimum of 5 mbps download speed. Please be aware that if your current internet connection is below these recommended speeds, you may experience slight audio or visual choppiness/lag. In May, President Obama with the Department of Labor made some changes to labor laws governing overtime pay and compensation. These changes are scheduled to go into effect this December. The Department of Labor has set up a dedicated website to help small business owners understand how these changes will affect employees. To help you understand what these new rulings are and how they may impact your business, we have created a general statement and a list of FAQs. Please review this document in addition to visiting the Department of Labor website addressing these changes to ensure you are in compliance with the new laws. As a reminder, we also strongly encourage you to check your local state laws as your state may have stricter laws than the federal government. If you have legal questions, we highly encourage you to consult with a labor law attorney familiar with your local state laws. Otherwise, please direct questions, comments, or concerns to support@mathnasium.com. Exciting news: For the first time, both in-person and remote interactive training options are available! 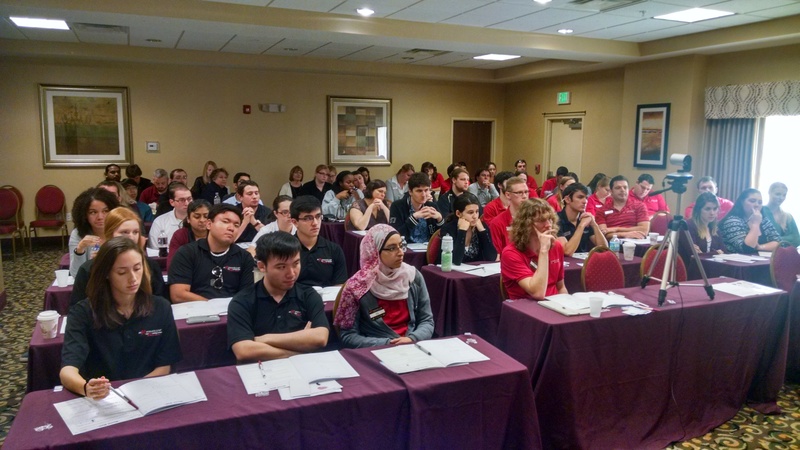 The Training Department is back with another inspiring and informative Experienced Center Director Training Session! Experienced Center Director Training is designed for Instructors who have demonstrated leadership potential and are gearing up to transition into a center management role OR newly-promoted Center Directors with at least six months of instructional experience. All attendees must have at least 6 months of experience as a Mathnasium Instructor and be on track for a promotion to the Center Director role in order to attend this training session. Please be aware that new Center Directors with less than 6 months of Mathnasium experience are required to attend Newly Hired Center Director Training! Refer to the green “Newly Hired Center Director” Training dates on the Center Director Training Calendar. Attendees must attend for all three days to receive training credit. Reserve spot(s) for your staff by contacting the Training Department at training@mathnasium.com. Space is extremely limited so please reach out ASAP! A wired DSL/Cable internet connection with a minimum of 5 mbps download speed. Please be aware that if your current internet connection is below these recommended speeds, you may experience slight audio or visual choppiness/lag. Once we receive and confirm your reservation, we will be in touch two weeks prior to the training date with your login information and other details. The purpose of this summary is to provide transparency into the general topics of discussion. Conclusions/decisions are not generally made during the meeting; therefore discussions referenced here will not have conclusions. Level 1 – Learning center basics, Team Teaching, First Look, shadowing. MU courses, CD discussions, practical exam. Re-do practical exams to make them clearer in intent yet be a bit more flexible in execution. Level 2 – Advanced instruction-based training to improve instructional practices in those targeted for promotion to Lead Instructor. Construct modules, HQ Instructor training sessions, practical exam. The MFAC provided several specific recommendations for HQ to consider. Resource documents from construct modules. Currently no plans for Instructor learning plans (literacy tests) in M2. Special certifications – How do we prepare employees to be qualified Instructor trainers, how do franchisees know if an Instructor is qualified to teach Calculus/AP statistics. A topic that HQ is aware of but is not an immediate focus. A discussion took place on what systems can be developed to build and develop talent. Beginning of a process to formalize and standardize roles and responsibilities in learning centers. This will lead to the development of processes, tools, and materials for recruitment, training & on-boarding, and career advancement. A larger vision on the talent life cycle was discussed. An MFAC meeting in May will focus on the details of a potential internal job board to help match available talent within the Mathnasium system to open positions. A general update on marketing was provided. A regional model was tested but did not yield good results. Another regional test is underway with a different strategy and a different vendor (smaller in scale than the first). Working with an advertising agency to refine branding/messaging. Seasonal campaigns (summer, back to school, winter). The Warning campaign was refreshed in the interim along with Child Readiness materials and three options for summer. Will evolve to have consistent branding and messaging in all materials which may require the retirement of many of the materials that exist today. New hire dedicated to Lead Conversion systems to provide more sales support/training/systems. Download Depot improvements underway – design/functionality upgrades. Testing of structured direct mail campaigns at opening to begin shortly. HQ previewed progress reporting functionality on which development has begun. We shifted away from what had been developed last year to remove Marketo from the process and improve the user experience. Creation of a new Progress Report Manager within M2. Will not rely on any other software other than Salesforce. Reviewed mock-ups of what the interface will look like and how it will function. Discussion around whether Assessment information should be included, such as last Assessment date. Discussion on the data that will appear on the reports and the related timeframes. If all goes well, expected deployment is October 2016. The Training Department hits the road for a second time in 2016! Join us for Instructor and Experienced Center Director training sessions in Minneapolis, MN in May 2016! In-person and online webcam options available! Our single-day Instructor Training is designed to educate, inspire, and motivate your Instructors! They’ll have an exciting opportunity to take their teaching skills to the next level—under the guidance of the master himself, Larry! Franchisees and Center Directors: much of the material we’re presenting will cover topics already addressed at Initial Training and Center Director Training, but if you’d like to accompany your Instructors and join in, feel free! Level 1 Instructor Training is designed for Instructors with under nine months of Mathnasium teaching experience and expands on basic teaching topics, reinforcing and building on learning from Mathnasium University. Reserve spot(s) for yourself and/or your staff at any of these sessions by contacting the Training Department at training@mathnasium.com. Space is extremely limited so please reach out ASAP! Once we receive and confirm your reservation, we will be in touch two weeks prior to the training date with your login information as well as other details. The Training Department will send out required reading before the event. All attendees must read Larry’s documents prior to attending. At this three-day session, your Center Director will learn the ins-and-outs of running a Mathnasium center, gaining a better understanding of the sales process, assessing students and assigning curriculum, hiring and training Instructors, and more. All Center Directors are required to attend formal training led by HQ. New Center Directors with less than 6 months of Mathnasium experience are required to attend Initial Training. Please refer to the green colored dates in the 2016 Training Dates – Center Directors calendar. 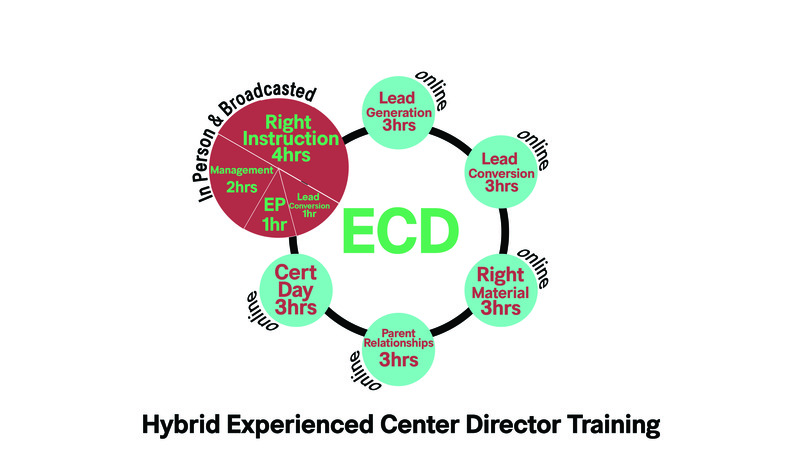 Please note that Experienced Center Director Training is only available in-person. Attendees must come for all three days to receive training credit. It’s a commonly known fact throughout the Mathnasium community that there’s no one who makes the Mathnasium Method come alive quite like Larry! To that end, one of the Training Department’s top priorities for 2016 is to expand Instructor Training with the goal of bringing Larry’s unique brand of math magic to as many Mathnasium Instructors as possible. The January 2016 Instructor Training in Orlando, FL, was the most successful one yet, with Larry’s four-hour online and in-person training sessions reaching a total of 217 Instructors over two days. That’s more than total number of Instructors impacted by Larry’s sessions throughout all of 2015! At the Orlando session, Larry used Mathnasium’s Key Concepts as well as the three stages of learning outlined in The Mathnasium Learning Principle as a springboard for exploring teaching constructs and ways to approach foundational math concepts to teach kids power math. All online and in-person attendees were provided with a copy of Instructor Workout Book 1 as a reference. By the end of the session, “pretty much everyone was sitting out of their chairs, they were so excited,” reported Larry! With a cap of 100 centers per session, the Orlando-based online, real-time Instructor Training leveraged technology to create an effective blended learning experience for all attendees. Via Adobe Connect, trainees viewed a split screen—one half featured Larry, and the other displayed the Instructor Workout Book page that pertained to his discussion topic. This means that when Larry referred to something on page 7 of the Workout Book, online attendees saw page 7 on the screen in real-time to guide them as they work through their printed materials. Attendees typed out their questions, which were fielded by a training moderator and were answered live by Larry. On the online front, “we learned a lot from our experiences with remote online training sessions throughout 2015 and in Orlando this January, particularly in the area of optimizing technology,” said Training & Development Specialist Quane Huff. Planned enhancements to remote, real-time Instructor Training throughout 2016 include the addition of a second camera to further capture the essence of Larry’s overall delivery for the benefit of remote attendees. Additionally, online attendees will soon have the opportunity to ask Larry questions via microphone (vs. typing them out), which means their voices will be heard through the speakers at the live venue. In addition to enhancing remote attendees’ connection with Larry, this will also facilitate a stronger connection between in-person and remote attendees, making for a more cohesive “classroom” environment overall. The Training Department is excited to unveil these enhancements at the next Instructor Training Session in May! Training sessions go much more smoothly and Instructors get way more out of the session when everyone starts on the same page! The Training Department sends out required reading to all confirmed attendees a few weeks in advance—Larry asks that everyone take the time to read the material prior to the session so everyone comes to training equipped with the same baseline knowledge. “These sessions could very well be a game changer for your staff in the way they approach teaching at the Center, so it’s critical for them to get a good grip on all the material we provide prior to training,” Larry explains. Pro Tip: Once you receive these materials from the Training Department, gather your team for a staff meeting and go over the documents together! True high-speed internet to ensure seamless real-time streaming! Larry and the Training Department are hitting the road again in May for another exciting Instructor Training Session in Minneapolis, MN. In October, they’re heading to New York! Live and online options will be available at both sessions—keep watching Mathnasium Matters for more! Please direct all feedback regarding Instructor Training (and training in general) to training@mathnasium.com. Even before he opened Mathnasium of Oviedo in June 2013, center owner Steve Massey (Oviedo & Lake Nona, FL) knew that he wanted to own more than one Mathnasium center. 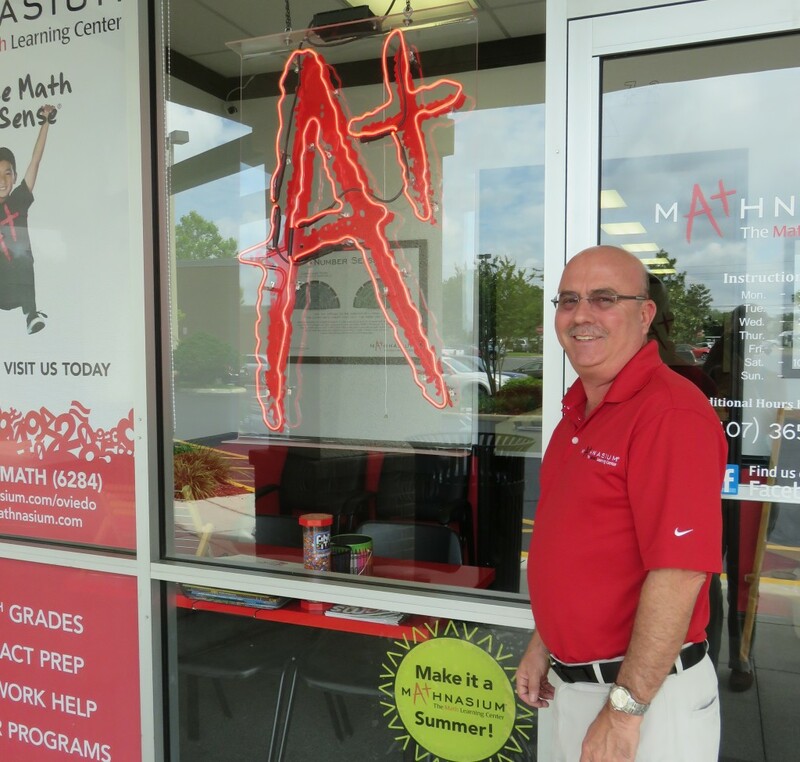 The opportunity to expand soon presented itself when Mathnasium of Lake Nona’s previous owner approached him in late 2013 with the intention of selling the struggling center. Steve took over operations at Mathnasium of Lake Nona in February 2014 and quickly found himself with his plate full as he worked to find a balance between growing a center in its first year of operations and breathing fresh life into another.